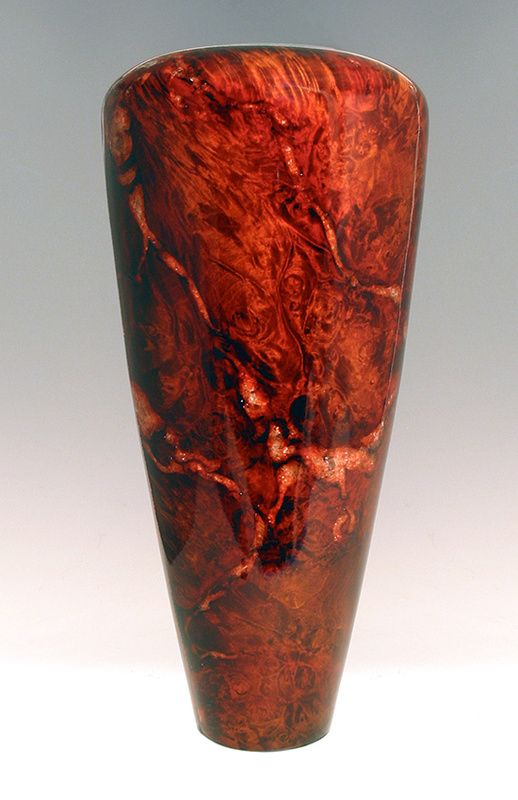 Materials: Bigleaf maple burl with inlaid translucent mineral crystals. Finished with metal-acid dyes and musical-instrument lacquer. 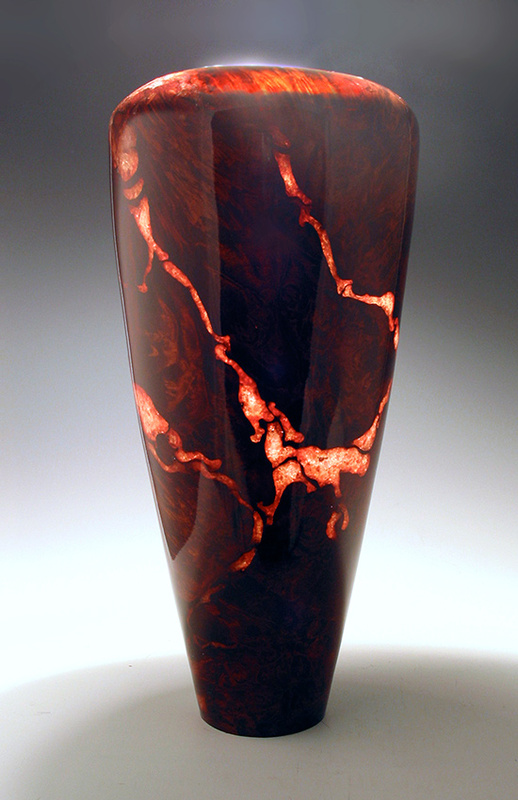 Comment: The bark inclusions in this maple burl were replaced with translucent calcite crystals allowing the inlay to glow when lit from above. Exhibited and sold at SOFA-Chicago with del Mano Gallery.